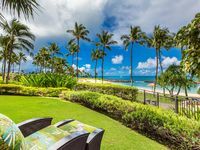 Located in Oahu’s second city, to the west of Pearl Harbor and around 24 miles west of Waikiki, the Kapolei Golf Course in sunny Kapolei is beautifully designed and magnificently landscaped. The 7001-yard course is dotted with countless coconut palms, beautiful floral gardens, and no less than five large lakes. The course was designed by Ted Robinson Senior, a golf course architect who has designed more than 160 courses during his career and is renowned for his innovative use of water. Indeed, he was one of the first architects to advocate the use of water features on golf courses and, in this case, removed huge amounts of wasteland to create the picturesque lakes and build elevation into the course. As well as their aesthetic value, the lakes play an important environmental rôle by capturing storm water from the surrounding ground. From 1996 to 2001, this course was the setting for the LPGA's Hawaiian Ladies Open Tournament, and hosted the Champions Tour Pacific Links open for a number of years running. The award-winning Kapolei Golf Course is an 18-hole, par-72 public amenity with four sets of tees to suit all skills levels. The fairways use Bermuda grass while the greens are laid with Paspalum turf. With gently contoured and rolling fairways, elevated greens, and over eighty bunkers, the course is not without challenge. The beautiful water features come into play at twelve holes, providing an enjoyable golfing experience for both men and women. Some of the world’s greats have played at Kapolei - Greg Norman and Annika Sorenstam, to name just two. Stretching over 190 acres of rolling terrain that was once a sugar plantation, this course is renowned for its strategically-placed holes, great beauty, and floral displays. It requires considerable tactical planning and shrewd play. Opened in 1995 and rated as one of the best courses on Oahu by the Zagat Survey and by Golf Digest Magazine, Kapolei Golf Course offers a full range of services. It is open all year round and operates an open guest policy. It has a slope rating of 136 and a USGA rating of 74.3. There is a driving range, practice green, and pro shop on-site, and facilities are available for renting clubs and carts. Impeccable. Island Getaway. Minutes from Beach. 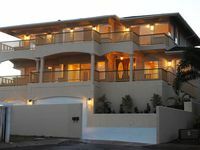 Love Hawaii & Live in Luxury in this 2nd Floor Ko Olina Beach Villa! Premier BEACH FRONT, Ko Olina Villa. You can't get any closer than this! Quality & Views - Close to Disney !